Mother Theresa once said, “I alone cannot change the world, but I can cast a stone across the waters to create many ripples.” One AmeriCorps member in particular has created many ripples in this city, and has been an agent of change each day he steps into the classroom. 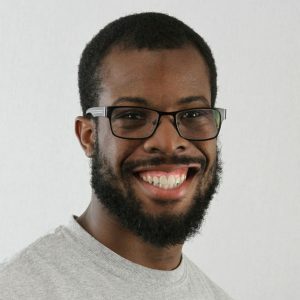 Letravious Holley is in his third term as a Youth Achievement AmeriCorps (YAA) member, and has truly developed to be a great leader on our team and in our community. Why did you originally choose AmeriCorps? I first joined AmeriCorps because I wanted to do something different. After working in the restaurant industry for about three years, I wanted to go back into the education field because I felt like I was making a difference not only in someone else’s life but also in mine. When my mom suggested looking into AmeriCorps, I did. Since Iowa was the the only place to get back to me about positions, I packed up and moved to start a new adventure. Why have you stayed with YAA for three terms? I stayed with YAA for three years because I love this program. I love what we are doing in the community, and I enjoy working with students and developing long lasting relationships. It made me feel like I was making a difference because I saw how much of an impact we have in students’ lives. We partner with many agencies that benefit the community, and it amazes me how so many people want to see this community thrive. Any specific experiences or memories with YAA you’d like to share? My experience with AmeriCorps has been wonderful. During my second term, I worked with a student who needed help in math for a few months at McKinley Middle School. We started from the beginning of the unit and took our time working toward where the class was. One day, I came into my classroom and found a thank you card on my desk from a student. It said she is now passing math with an A-. I was very proud of her. How will your time with AmeriCorps affect your future career/plans? The time spent with YAA has made me realize I want to get my degree in teaching and continue to help kids in all communities.